Published in Entertainment and Sports Lawyer, Volume 27, Number 3, Fall 2009. © 2009 by the American Bar Association. Reproduced with permission. All rights reserved. This information or any portion thereof may not be copied or disseminated in any form or by any means or stored in an electronic database or retrieval system without the express written consent of the American Bar Association. MUSIC SUPERVISOR: Hi, this is the music supervisor from <<name of television series>>. We’d like to use the song <<name of composition>> in a scene for an episode in which two of the primary characters find themselves in a dance club. MUSIC PUBLISHER: How would you like to use the song and what rights do you need? When a producer wants to use an existing musical composition in a television program, weekly series, special, miniseries, or made-for-TV movie, permission must, with few exceptions, be secured from the music publisher who owns the song. The show’s producer or music supervisor will decide what song he or she wants to use in the program and the scene in which it will appear, how the song will be used (e.g., theme to the show, background vocal or instrumental, sung by a character on camera, over the opening or ending credits, and so forth), and the media needed (e.g., free television, pay television, subscription television, pay-per-view, satellite on-demand, closed circuit, Internet, basic cable, and so forth). At one time, television synchronization licensing was a very simple process. In many cases, the initial request was a five-year (or less) free television or similar pay television license with options for an extension in those areas if the program was successful, in addition to home video distribution. In a world of ever-expanding media options, distribution platforms, marketing plans, divergent audience viewing patterns, advertiser preferences, current and expectant markets, new technology distribution methods (known or which will be developed in the future), monetization of ancillary profits, and so forth, licensing music for television has taken on a new level of complexity and intricacy. It’s an area of new concepts, new demands to respond quickly, new types of structures, new relationships, and new types of considerations. Because of its value with respect to not only present and future income, but also exposure, television licensing is an area for which you have to know the current state of affairs and deal accordingly. If you don’t or are not able to, success will be hard to achieve. Many network series (especially the successful ones that have been on the air for years) have fairly simple licensing schemes (e.g., “all media from the onset,” “all television with a home video buyout option,” “all television and home video combined license”). A number of producers will ask for an “all television” or “all forms of television” synchronization license, usually for the life of copyright of the composition being used. Pursuant to the terms of such a license, the producer is able to distribute the program via any television medium without having to resecure permission from the music publisher. In most of those licenses, the producer has the right to extend rights to home video via an option for an additional fee. Some successful series use an all television and home video combined license without any option language, which pays for all rights when the agreement is signed. Some studios are requesting “all media” licenses, excluding theatrical, for certain programming—a license that includes television, home video, the Internet, mobile phone use, and any other media over which television shows can be distributed. Such licenses include all TV transmissions, such as free; pay; cable; satellite; subscription; hotel/motel to any type of monitor or receiver; all digital or broadband transmissions, including streaming and downloading rights; all audiovisual devices (linear formats), such as DVDs, cassettes, and other digital media; all other nontheatrical uses (including common carriers); and “incontext” trailers, ads, or promotions. Dramatic Series. There are a number of dramatic series, however, that license via an option scheme containing between four and 10 separate scenarios all with different fees. An example of this type of series follows. Five years, worldwide, and Disney Cruise Lines in all television media, including but not limited to free, basic cable/satellite/ HDTV, pay, subscription, broadcast-ondemand, including video-on-demand and direct-by-satellite (“DBS”) and Internet/ mobile streaming (including in-context promotion in all media). Television licensing is an area for which you have to know the current state of affairs and deal accordingly. In addition to the above, each license will further divide the options and fees depending on the actual use of the composition. For example, the following separate use categories are included in the license, and all with different dollar fees. 1 year commencing with each original airdate of episode. Free, basic cable, and satellite television and in-context advertising and promotion rights up to 0:30 (in all media). 2 years commencing with each original airdate of episode. Free, basic cable, and satellite television and in-context advertising and promotion rights up to 0:30 (in all media). A. Audiovisual: The greater of (a) 10 percent of the actual retail prices or (b) ___ cents per download. B. Audio-only: The prevailing statutory mechanical rate in effect at the time of download. Option 2: Realtones/Ringbacks (audio download streaming realtone or ringback offered via all wireless and mobile platforms through AT&T): United States and its territories and possessions/Commencing on signature below and continuing throughout season finale/Rights granted per composition, including the right to reproduce and distribute by means of transmissions to subscribers of AT&T in the territory/Greater of (a) 10 percent of retail price; or (b) ___ cents per download/purchase/In the event a compulsory license rate for realtones/ringbacks (i.e., ringtones) is established by federal law, such compulsory rate shall supersede the negotiated rate above as of the effective date of such compulsory rate. 1. Out-of-Context Advertising and Promotion Option: United States and its territories and possessions/All Media up to 0:30/$___ or $___ /week/Option exercisable commencing on the date of your signature below, but no later than 12 months after the airdate of the final episode of the production. Shorter-Term Licenses. Certain programs that do not have a projected long audience shelf life because they focus primarily on contemporary events and issues (such as Access Hollywood, Ellen DeGeneres Show, Jimmy Kimmel Live, The Tonight Show, and so forth) will many times only request short-term licenses, limited-territory licenses, many times with options. and Canada/all TV media, including but not limited to free, basic, pay, direct-by-satellite, subscription, and CATV. World, 1 year, all television media, including but not limited to free, basic, cable/ satellite, pay, subscription (including video-on-demand), DBS, and Internet streaming, including in-context promotion in licensed media. Certain programs will request a no-fee, 30-second audio of the recording and composition used in each episode of the series that would be accessible on the program’s official Web site. The license is for streaming only with no download capabilities and is designed to help viewers identify the music on the program, because such information is not available in the closing credits. The name of the artist and the song title will be listed, and there may be links either to the artist’s Web site or to another site where the viewer can purchase the track. Rather than hire a composer to write a theme song for a new television series, many producers will use a well-known song as the show’s opening and closing theme. This is also true for revival series where the new producers do not have the rights to the theme song used in the original series. When presented with such a request, a music publisher may take one of a number of different approaches to handle the licensing, the most prevalent being a per-show fee for each series episode. It is also becoming more common for a life-of-copyright all television license to be negotiated for use of the song in the series. Each case, however, must be treated on its own merits, recognizing the stature of the song being requested (e.g., current hit, well-known standard, or prior hit in need of new exposure), the budget for the series, the policies of the production company producing the show, the performance monies that will be earned from ASCAP, BMI, or SESAC, and the possibility of a television series soundtrack album or hit single coming from the program. In addition to the initial synchronization fee negotiation, all of these agreements provide for an additional fee to be paid when each episode goes to home video, unless such rights are included in the initial fee. And many times there is a guarantee that a certain number of series episodes will use the song as the theme (and payment made), even if the series is unsuccessful and the guaranteed number of episodes are not broadcast or even produced. Most agreements also provide that the song and, if applicable, the master will be available for use as the theme to the series for a number of seasons into the future via options with fee increases normally provided for each new season. On-screen credit is also one of the issues negotiated. There are also a number of series that use existing songs and masters that were not major hits as themes. The issues involved in the negotiations are the same as in the hit song scenario, with the exception that the initial fees may not be as high. Unlike current licensing procedures whereby the show’s producer is covered for multiple distribution channels (many times via options), many past licenses were more limited in nature (in some cases, because the media had not been invented yet). In these cases, the show’s producer will contact the music publisher and enter into a new license that covers additional distribution platforms. One example might be a producer securing the options to convert an all-television license into a worldwide all-media license. There are many variations in this area depending, of course, on the terms of the initial music synchronization license and the needs (including licensing budget) of the producer. Internet, or other media; (2) the scope of the rights granted; (3) the options being requested; (4) how the composition is being used (background vocal or instrumental use, theme, visual vocal); (5) the music budget; (6) the stature of the song (standard, hit song, new release); (7) duration of the use; (8) the term; (9) the territory; (10) whether there is a soundtrack guarantee; (11) whether there is an ad card promo at the end of the program; (12) whether only in-context vs. out-of-context promo uses are part of the license; (13) whether a change of lyrics is being requested; (14) and whether there is a dramatization of the events described in the song, among others. It should also be mentioned that certain programs license on a “Most Favored Nations” basis (with all compositions receiving the same compensation for the particular defined type of use). 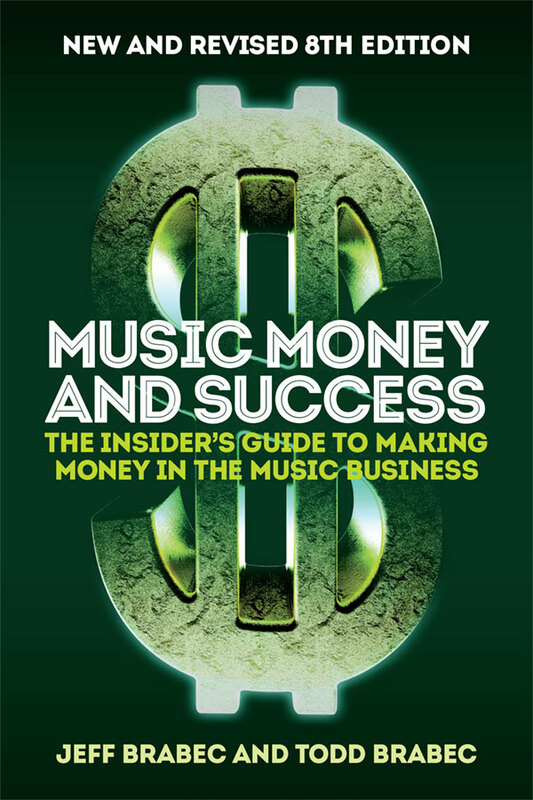 In such cases, the producer will provide the actual fee structure in the request, and the only decision for the music publisher is whether to say “yes” or “no” to the use. As you can see, successful television licensing is not for the inexperienced. Familiarity with the meaning of all options (e.g., home video, Internet, foreign theatrical, mobile devices), knowledge of the range of fees possible in each situation (e.g., successful or new show, past hit song or new artist release, if the show is a “take it or leave it” entity, or if standard negotiating norms are in place), an understanding of the original writer’s grant of rights to the music publisher (any licensing restrictions, approvals, and so forth), and knowledge of the many other factors that could affect the anticipated backend royalties (e.g., status of ASCAP, BMI, and SESAC licenses in all relevant media, Copyright Royalty Board decisions, pending litigation, copyright legislation, foreign country online, and traditional media licensing schemes) are all essential if one is to give the immediate and appropriate response that is necessary in today’s world of television licensing—licensing that goes well beyond the initial television broadcast.